The story was not entirely a fairytale, however. In 2014, Taxi's ownership group ended up in the news for a court battle raging over his custody and retirement status. The gelding bled following a five-furlong workout and was diagnosed with exercise-induced pulmonary hemorrhage (EIPH). Vacca, who was designated as equine welfare manager in the syndicate's partnership agreement, thought he should be retired, but other partners believed with rest, antibiotics, and oxygen therapy, Taxi could run again. The war over Taxi got ugly, but Vacca says two years after it began, the case was resolved. Taxi's ownership was transferred back to IEHC and he was put up for adoption last summer. After just a month of looking for a new home, Taxi moved a few miles away from IEHC and began his second career with adopter Alex Haser. 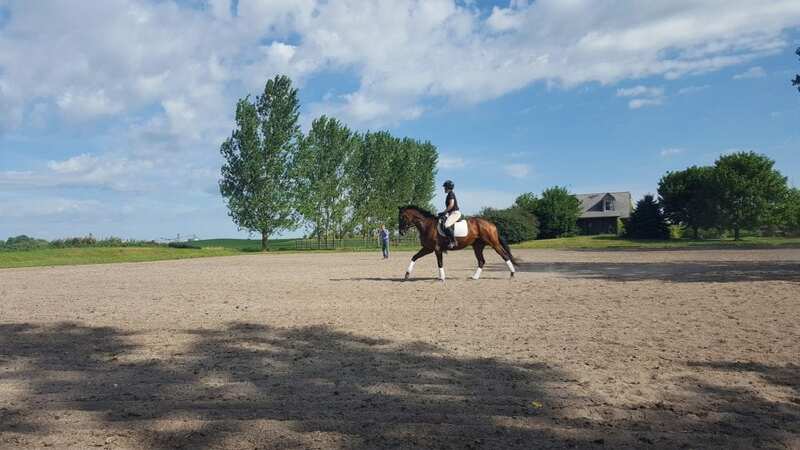 Haser, a lifelong hunter/jumper rider, had intended to prepare Taxi, now seven years old, for a career in eventing but is starting to think they may stick to the dressage ring. She reports he has a polite, easygoing presence on the ground, probably in part to Vacca and her years of care. The publicity, both positive and negative, surrounding Taxi's story has made it easier for Haser to learn about his history before adopting him. Haser has worked with off-track horses before, but usually as leases. Taxi is the first ex-racehorse who has belonged to her. Haser wants to give Taxi more practice trailering off the farm before taking him to their first show, which is her goal for 2018. Unfortunately, Taxi's dam Silver Option was euthanized in 2015 due to the laminitis and navicular disease she had when they found her in 2009. Thanks to extensive care and shoeing, the IEHC team was able to give her several comfortable years in the pasture after her rescue. She was 18 years old. The rescue world has changed since Vacca put down $300 to save Silver Option (and, unknowingly, Taxi). IEHC primarily deals with owner relinquished horses and neglect cases but used to attend auctions frequented by kill buyers whenever they could raise the money. Now, social media has changed the game. In the end, even though Taxi's case was riddled with legal woes, Vacca believes he shows that a horse can race, retire, and begin a second career responsibly. “I still think it's completely doable to race horses in a humane manner and put their welfare first and retire them at the proper time to let them go on to have long, happy healthy lives doing something less strenuous,” she said. 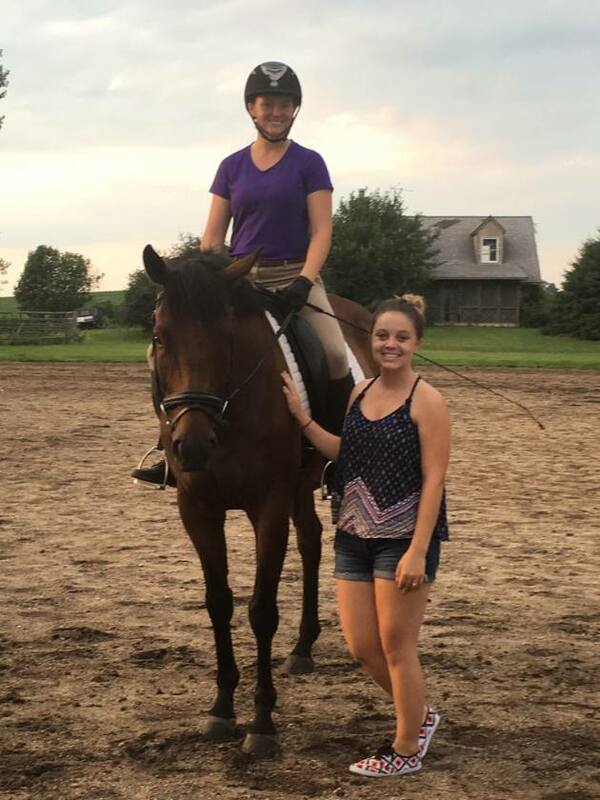 This entry was posted in Horse Care, Lost And Found, NL Article and tagged alex haser, EIPH, Gail Vacca, Horse Racing, Illinois Equine Humane Center, Magna Fortuna, OTTB, Paulick Report, Taxi, Thoroughbred aftercare by Natalie Voss. Bookmark the permalink.